US Markerboard has all the Furniture for classrooms or furniture for business offices that you will ever need! Science Tables are the perfect fit for any grade level classroom requiring group work, art projects, or chemical experiments. Changing Tables are perfect for an infant room or hospital! Study Carrels and Shop Tables fit your specific study needs. Cafeteria Tables for lunchrooms and Conference Room Tables for businesses and meetings will fit nicely into any space. 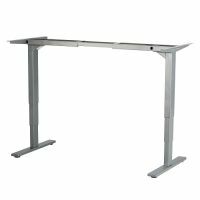 There�s a variety of Work Desks and Student Desks to choose from, along with Workbenches for shops. Teacher Desks and Circulation Desks for libraries and information centers will give a commanding presence to any room. Computer Furniture fit every computer and office need, accommodating small computers and large computers. Laptop Carts, Teacher Carts, Television Carts, and Tech Carts give you a hand while traveling from room to room. Take a seat as you explore the comfortable variety of Chairs to choose from that make long seated hours endurable. Industrial Stools for vocational arts, Medical Stools for hospitals, Folding Chairs, and Stacking Chairs are just a few options that US Markerboard carries! There�s also Music Chairs with Music Stands, Booster Seats and High Chairs, Art Horse Wood Chairs, Ergonomic Chairs for the executive officer in all of us, and Computer Chairs to make long hours at the desk comfortable. Use a Step Stool to reach up to your Memento Display or Flag Display and never worry about height issues again. There are even Baby Wall Seat options to give you a helping hand when you need to set a baby down. Expand your seating options in a classroom with Bean Bag Chairs for children to sit comfortably! You�ll need a place to store any stacking or small chairs and you�ll get to choose which Chair Storage Cart is best for you! Storage is a top priority in smaller places and work centers. 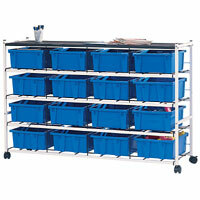 Shop around for Cubbies, Lockers, Bookshelves, Literature Display Racks, Shelving, and Vocational Arts Storage. Coat Racks and Boxes for toys or office supplies will organize miscellaneous items. 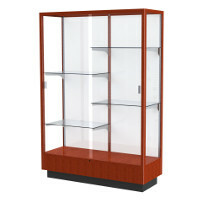 Display your biggest achievements in a stylish way with Display Cases, Enclosed Bulletin Boards, and Sports Displays. Preschool supplies and daycare supplies come in a wide variety to fit every aspect of a child�s day! Cots and Rest Mats for naptime are sanitary and easily stored. Play Rugs, Blocks, Climbing Furniture, and Balance Beams turn play time into lessons and skill building adventures. Group Strollers and Jumping Bags take the class outside to enjoy good weather and explore nature! Dramatic Play Furniture and Riding Toys allow children to use their imaginations for well-rounded days. Take your pick of these great Furniture, Seating, Shelving, and Display options to see what new equipment can do for your workspace!